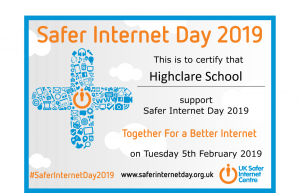 Highclare School has registered alongside hundreds of schools across the UK to be a part of Safer Internet Day 2019 on Tuesday 5 February. 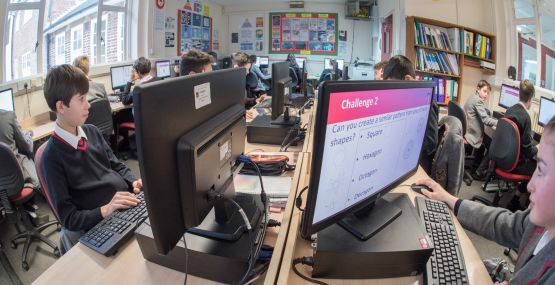 On the 1 February, Mr Sneary, Head of ICT at Highclare Senior School, delivered an informative assembly on internet safety, an opportunity to rethink how we use the Internet and consider the dangers that are associated with it. During the assembly Mr Sneary spoke about the global theme for Safer Internet Day 2019, together for a better internet and asked pupils to think carefully about the amount of time they spend on social media. Social media has so many positives, but at the same time, it is very addictive and can be harmful in lots of ways. As part of Safer Internet Day, pupils have been asked to swap 30 minutes of their social media time for 30 minutes doing something else, for example playing a sport or helping others. 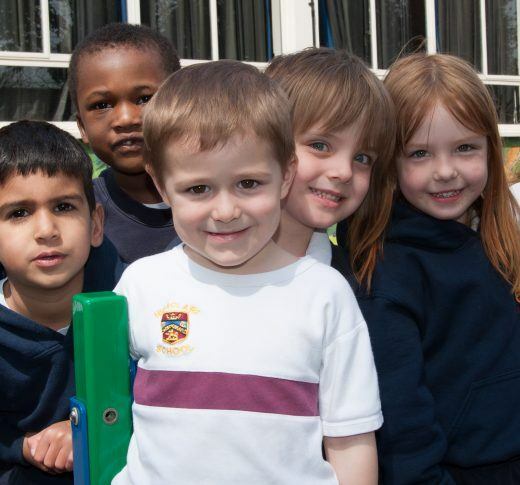 If you are a parent reading this then please support us by encouraging your children to take part in the social media swap, and by all means join in yourselves!